The lack of square meters is never an impediment to decorate a room. 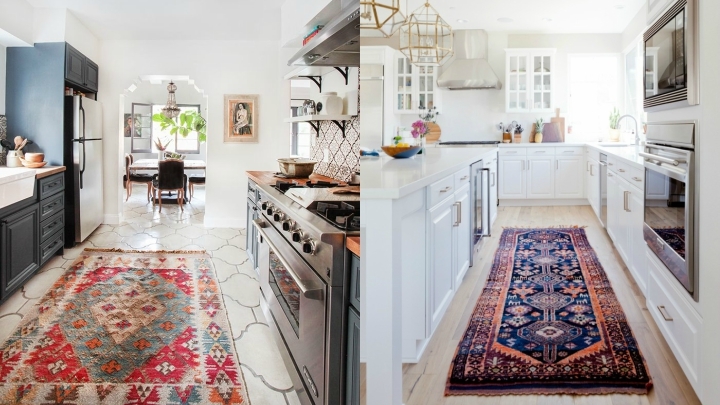 Today we are going to focus on the kitchen, a place that is usually the least spacious of the house and where we need to develop all our imagination when it comes to distributing and decorating the space. To make the most of it, we must adapt to the way it is. Let’s look at some ideas for it. If your kitchen is square, you can distribute it in U-shape. Put the fires on one side, the other on the sink and try to make the worktop as free as possible to work in comfort. For small and elongated, rather narrow kitchens, the best is the L shape, since if you fill both sides you will not have room to pass. One possible distribution for your kitchen is the so-called kitchen galley. It consists of placing two parallel, parallel lines. It is similar to the U-distribution although the area, say, frontal, does not have to be occupied. 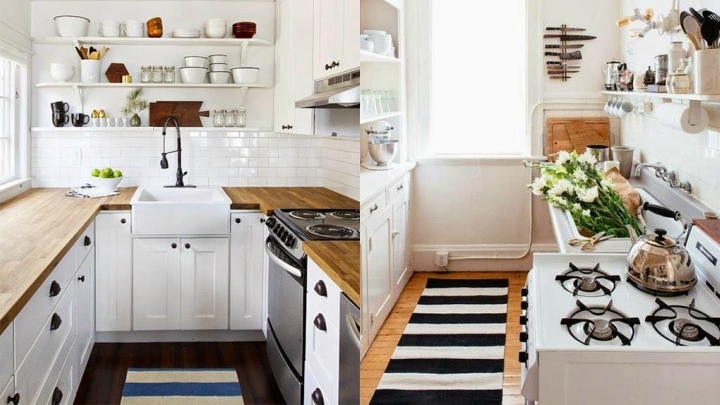 The two options are similar and perfect to optimize the space in your kitchen. 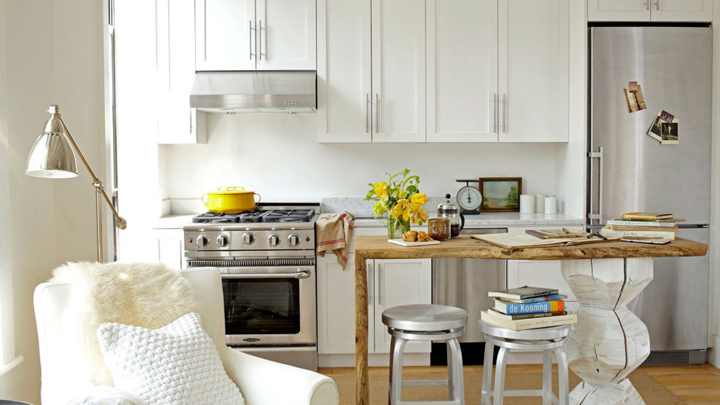 The white color helps make the spaces look more spacious, so it can be a very appropriate color to decorate your kitchen. The longer you use it, the larger it will look, and you can always add touches of color to smaller decorative elements. In addition, it will look much brighter. The glass is a material that will also be very useful in your small kitchen. You can put it in the doors of the cabinets or in the same door of access to the stay. It will let the light penetrate and the feeling of amplitude will be greater. Another way to make your kitchen look wider is to design it open to the living room or dining room. Although the work area itself is not very large, you will make the space larger and more comfortable, without being overwhelming to be surrounded by four walls surrounded by furniture. Because however small the site there are things that are essential in the kitchen. When you distribute the space, it leaves a space for smaller appliances. 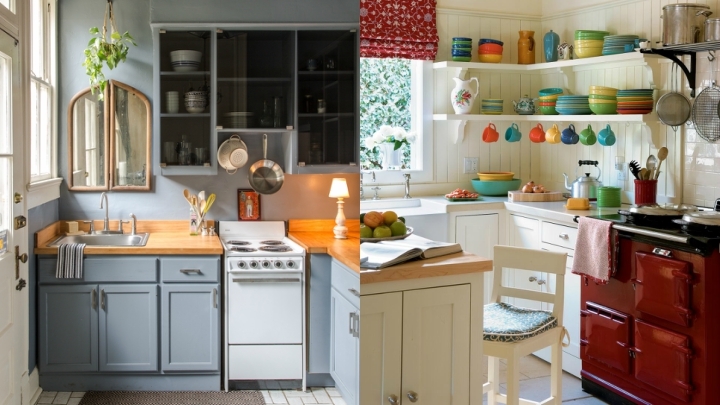 There are narrower dishwashers, smaller fridges and ovens that look like microwaves. With this, you will gain space and you will have room to enjoy a bigger and more comfortable work area and cooked. 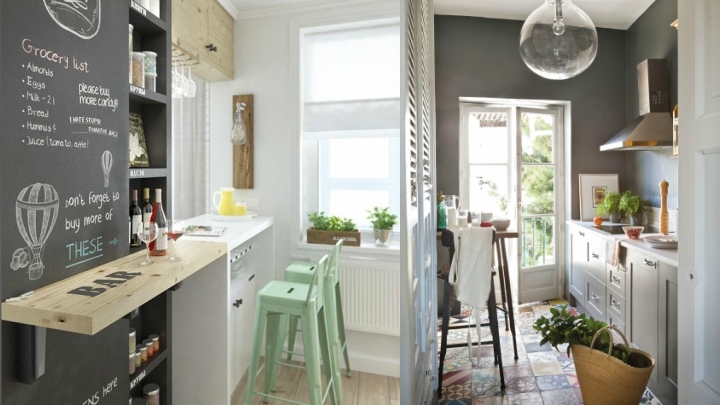 If your kitchen is very narrow and you can only put cabinets and furniture on one of the walls, leave the other to put a bar and, below, some stools. It will be a very comfortable space to be able to have breakfast or eat in it and will not occupy you as much room as a table with chairs. You can even opt for folding options that are folded against the wall. 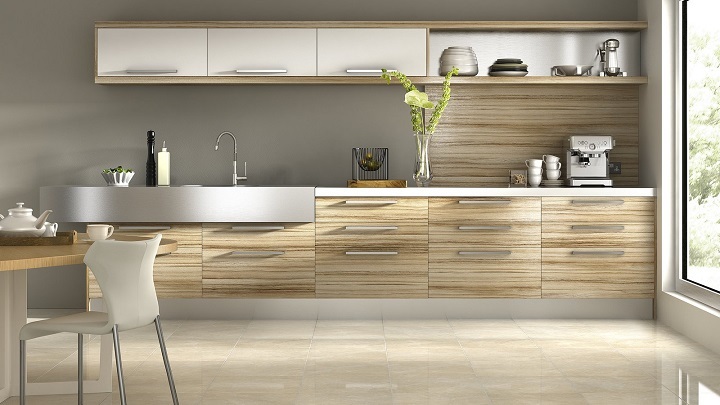 Making the most of kitchen space is the key to your decor. 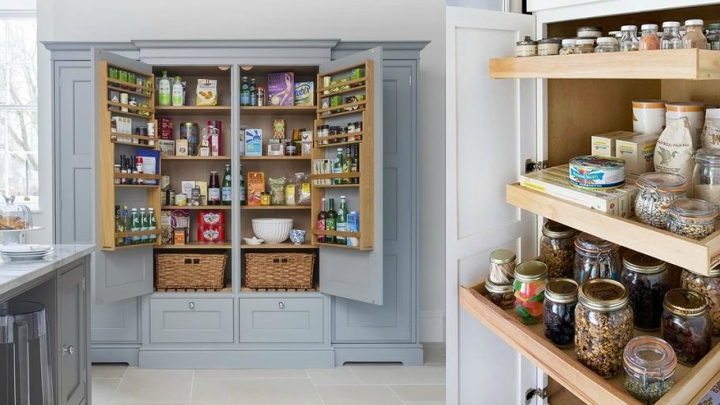 That is why, you can put inside the furniture different removable shelves, compartments and practical elements that help you to keep everything tidy but not occupy more space than due. Try opening the furniture, or removing the shelves, do not interfere with the passage or use of the kitchen. We have already seen that with the use of glass and white color, we will gain luminosity, but it takes an artificial spotlight for your small kitchen. Not having much space will not need something too powerful; it can be worth with a ceiling or spotlights, that when being embedded in the ceiling do not recharge the space.